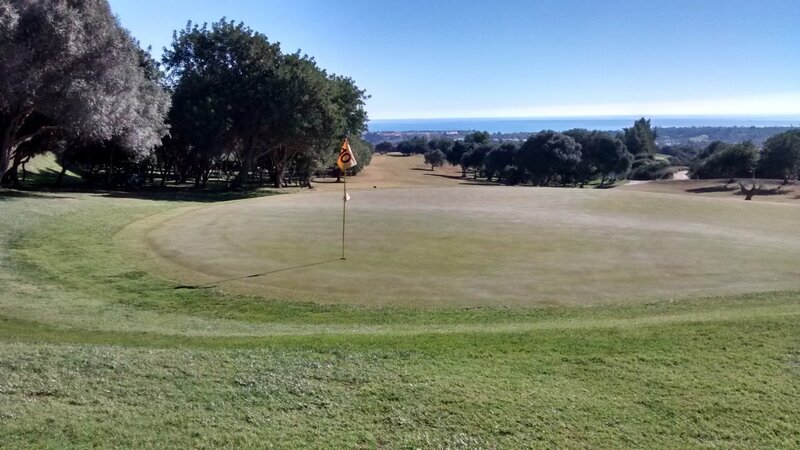 The near-perfect combination of high-quality course and very reasonable price make this course simply the best value-for-money golf proposition on the whole Costa del Sol in my opinion. Very good golfers I know (5 handicap and below) really like playing there. Quite high-handicap players (20-25 handicap) seem to like it a lot as well. 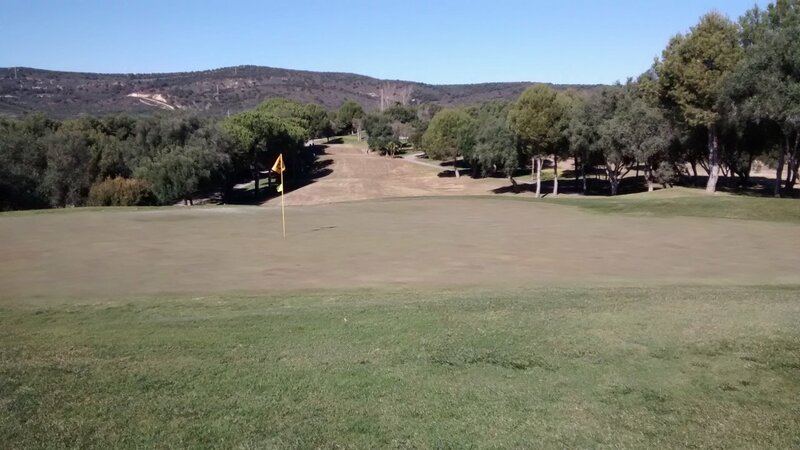 La Cañada is a serious golf course though, not one for beginners, so I can not recommend it to players with handicap 25+ looking for an easy round. For everyone else: strongly recommended. The first thing that makes this course special is its organisation. 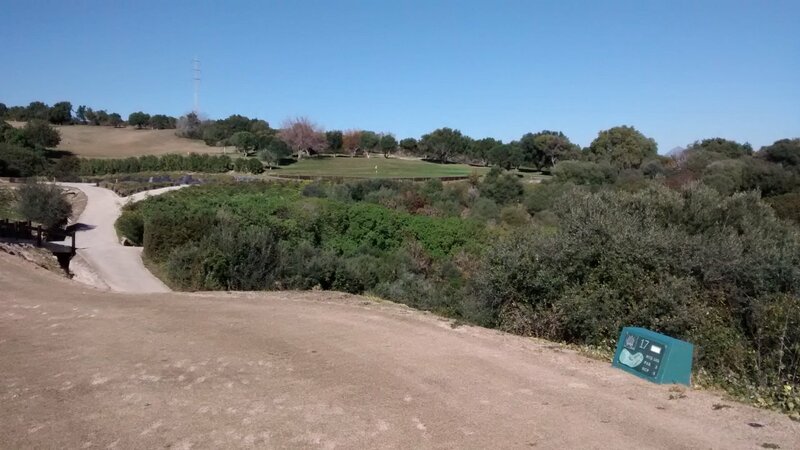 It is one of very few municipal full-size golf courses on the Costa del Sol. (By 'municipal' I mean it is owned by local government, not privately owned). Perhaps because it is run as much for public amenity as for profit, the ambience and attitude at the club is very laid-back, without being disorganised. There is an active setup for young kids (not yet teenagers) learning the game. I think that a good thing – someone has to give young kids the opportunity to have a go at the game at minimal cost. The large nice driving range is just in front of the clubhouse, as are generous practice putting and chipping greens. The clubhouse itself is quite large and comfortable in a simple style. The food served here is good (members tell me that). Personally I can only vouch for the few hamburgers I have had here - which I thought really outstanding. There are about 1000 members of this club, of whom about half are Spanish. So it is a busy and active club with a local feel. Definitely not a club aiming for exclusivity. The course itself is lovely. Top of the list I reckon are the fairways which are really excellent. As good as fairways you can expect on courses costing you twice as much. Nicely grassed and well mowed. Only criticism I have is that they are a little bit dry and the club does not provide sand dispensers on buggies so you can fix your divots, but these are very minor issues. The greens are large, medium-fast, very consistent and nicely shaped to give the option of challenging pin positions. Green surrounds are good, as are bunkers with quite soft sand. Some tee boxes are a bit rough, but who cares given the high quality elsewhere. The course design is also very good. The second 9 holes are significantly harder than the first 9 holes. There are simple concrete hole maps on every tee box. Some uphill fairways can play really long, some downhill fairways you have to be really careful not to overshoot your drive. Simply a lot of variety and every hole interesting in it´s own way. Every hole requires some careful thought, whatever your handicap. Again, all this is good design. Most fairways have light rough (well-maintained) for a few meters off the fairway, or else have sparse groves of trees. You can get some kind of recovery shot from both. Naturally there are some holes where real trouble lurks not far off the fairway (out of bounds, water hazards etc.) but I do not describe the rough you might encounter as brutal. Simply put, if you miss a fairway or quite badly miss an approach shot, you will only be really heavily penalised about 50% of the time, the other 50% of the time if you play carefully out of trouble you can at least try not to drop a shot for the error. The pricing of everything at La Cañada (golf, food, drinks..) is very reasonable by Costa del Sol standards. I hear stories of members actively resisting even the tiniest price increases. It is in many ways different from many other courses on the Costa which seem to be permanently recalculating how they can charge you a little bit more. There is so much economic devastation on the Costa del Sol in the wake of the property boom/bust and the rampant greed that went with it. It is nice to see a stable, happy (and mostly Spanish) success story instead – La Cañada seems like that kind of price/proposition success. I really like and respect this course. Review last updated: May 2015. Number of times played: 5. La Cañada is the yellow dot. Basically a mid-ranked course (compared to other courses on the Costa del Sol) in terms of both length and difficulty. An 18-handicap player can expect to play this course about 20 over par. Personally I think these 'official' ratings understate the subtle difficulty of this course a bit - for anyone with a handicap 15+.